The ONLY one of a kind vintage vehicles! 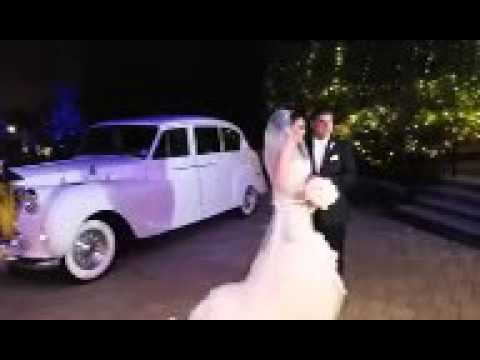 Ask about our "1960 Austin Princess Rolls Royce"and "1961 Bentley" for your very special wedding day! At Action Limousine, our main interest is to help make your wedding day a memorable one and shall be performed with perfection by our drivers. Our professional advice and our quality service will help make that special day perfect. We feature brand new Lincoln Navigators, Chrysler 300 Stretch and Ultra Luxury Party Buses & Coaches (18-55 Passenger). Our fleet also includes antique Bentleys and Rolls Royces. We can service all your wedding needs, and our customer's satisfaction is our main goal! If you are looking for a professional company to use for your wedding day, Action Limousine is just what you are looking for! Please visit our web site for more information and photos and contact us today! This company will make sure that you have an amazing day! I cannot say enough amazing things about Action limo! From the minute that I met the drivers at a bridal show, I knew this was the company I wanted to book. The driver that I spoke to at the show had so many amazing things to say about the company. As soon as I told the driver the locations of everything for the wedding he knew where everything was. . We could not beat his prices, and he has been in business for so long that it gave us such relief. John texted me the day before the wedding with all of the details of the day as well as the driver’s Name. The driver (Bill) showed up about 30 minutes early and was so professional. Note to all brides looking to book Transportation: Please do yourself a favor and Book with Action! You will not be disappointed! By Booking with Action Limousine you are doing yourself a favor the day of the wedding. I used Action Limo for my wedding in October 2017 and they were outstanding!!! John was amazing to work with leading up to the wedding, he was very responsive and helpful with questions, and even provided some great recommendations on where to take pictures close to our venue. We booked the 24 person party bus and couldn't have been happier! It was clean, spacious, and a very comfortable size for our group of 23. They provided champagne and water and allowed us to bring any additional alcohol/drinks/snacks we wanted. Billy was our driver and he was absolutely amazing, he was so much more than just a driver. Our photographer turned to me at one point and said "I've done a lot of weddings and I can honestly say I've never seen a limo driver as attentive and amazing as Billy". Service, professionalism, value, responsiveness, and flexibility all get 100% in my book! Thank you Action Limo (and Billy and John) for all that you did to make our wedding day so special! Absolutely amazing! Very accommodating! The party bus and rolls Royce were beautiful and well kept! Drivers took great care of us! Highly recommended!!! John was professional, reliable, helpful, and simply the best ! After the ceremony, he laid out a red carpet for my husband and I and popped a bottle of champagne and made a toast, which was so sweet and made us feel so special ! I highly recommend Action Limousine for your next event !!! Literally one of my best vendors for my whole wedding!!!! Made the day so so special!!! Now Two of my best friends are using them for their weddings!!!! Couldn’t have been better! Great service even before my wedding day! My wedding isn't until next July, but I wanted to write a review today. I visited about 5 different limo companies, and John from Action Limo was the only one who greeted me by name and remembered the details about my wedding for the first time meeting him. Every other place didn't even know who I was even though I booked an appointment and spoke to them on the phone. John spent a full hour with me talking about my wedding and just 'shooting the breeze'. He is extremely passionate about what he does for a living and it shows when you meet with him. He is a straight shooter and maybe that's what rubbed some clients the wrong way? However I appreciated it. He didn't try to oversell anything. He was very honest about everything, but like I said, very passionate and cares about what he does. He is the only limo company that I felt like I can completely trust in him and not have to worry the day of the wedding. I'm so happy I found him. Action Limousine was great to work with! We only used them to take a limo to our reception hall and for transportation to and from the hotel for our guests but they were wonderful. Our drivers were so nice and the vehicles used were very clean. This was one area of the wedding that we didn't have to stress about! We chose Action Limo based off a couple of friends’ glowing recommendations and we were not disappointed! In fact, we were completely blown away by not only the beautiful vehicles, but also the OUTSTANDING service! For starters, (the owner) John’s limos are so pristine it looks like they are brand new. The limo-bus was great for our wedding party and the GORGEOUS Rolls Royce was so perfect for my father and me, and then me and my groom, of course! Not only did the Rolls Royce look beyond amazing in pictures, but it was like a sanctuary! John always had a bottle of water waiting for me and he played the best “wedding songs” on the drive to the church. Beyond all of these amazing aspects of Action Limo, I have been singing John’s praises since the wedding, and I will never forget how he helped to make the day perfect! It might seem funny to feel so strongly about your limo service/driver, but if you use Action Limo, you will understand! Action Limo was AMAZING! John the owner was so accessible and and JOE (our driver) was INCREDIBLE!!! We had a bridal party of 23 and the Blue Bird was perfect!!! Joe made us all feel like he knew us for years. He was constantly helping me with my dress and making sure I looked my best. He let me know what was going to happen next and kept me calm the minutes before walking down the aisle. I can't thank ACTION LIMO enough for their attentiveness. THANK YOU!! I loved working with Action Limo for my wedding. Meeting John was a treat - as soon as my fiance and I met with him, we knew we'd be in good hands. He's been in the business for years and knows exactly what he's talking about. More importantly, he is professional and goes out of his way to make sure your day is special. We had Bill Carlucci as our driver and he was awesome. Even my mom (who wasn't in the limo with the wedding party) commented on how attentive and amazing he was. Action Limo was definitely one of the highlights of our wedding. So lucky to have worked with them and I'd do it again in a heartbeat for any other event that I'd need a limo for. Highly recommend!! John had me laughing from the first time I called him! It felt like I was talking to someone I had known for years. He gave me great advice throughout the process of planning transportation! For my tight wedding budget, the prices that Action Limo had to offer were great and John was a pleasure to work with. Ray I believe was our driver. He was great! He helped carry things for my girls on to the party bus. He also helped carry the back of my dress and fluffed it out so it would look perfect when I was walking. Ray accommodated going to our venue to pick up our photographers quickly so they could hop on the limo to take pictures at the beach instead of them finding a spot to park. He then drove around and came back to get us on time. I had heard great things about Action Limo from a friend who had just gotten married and I am so glad we booked them too! My husband and I got two limos, the Austin Princess and Stretch SUV, and what a great decision the Austin Princess was! John was the driver of the Austin Princess and he was amazing the whole day! He arrived early, and waited patiently…this was a huge relief because I live in a city where parking is an issue! The Austin Princess has speakers on the outside of the car and while driving through town John was playing some great wedding songs that had people looking at us like we were celebrities! John went above and beyond to help me relax and prepare for the church, He had a red carpet waiting for us at the stairs of the church, as well as champagne and flutes that said “Bride” and “Groom”, it was so special! and I would not hesitate to book him again! I highly recommend Action Limo, whether you need their services for a wedding or a special night out, you will have the time of your life! Action Limousine is WAY MORE than really great, super clean, punctual and affordable transportation! Action Limousines drivers go above and beyond their duties to make sure all passengers including the bride and groom are comfortable and having a great time. From telling jokes to taking pictures.. The drivers were all great and worked extremely well with our photographers. My wife cant believe how compassionate her driver was. John the owner is great to work with and is an honest and fair guy who has been in the business and servicing the NJ area for a long time. Once you speak with him you know you are in good hands and have nothing to worry about. We had a 55 passenger bus as well as two limos. 1 Ten person limo and 1 Fourteen person Navigator and all the vehicles looked brand new! Thanks John and crew - you helped make our wedding amazing. Amazing experience. The driver was friendly & great at keeping things on schedule when needed, and going with the flow otherwise. He also gave my dad some comments on our day-of wedding schedule which were SO helpful - we rearranged some things, and ended up being ahead of schedule all day due to his input/experience. Also, the driver was super prepared - he had an umbrella in the car ready to walk me & my dad in when it spontaneously started raining. When I met John the owner of the company at a bridal show I new I had to book him. John & his Action Limo team surpassed all our expectations. The limos were sparkling clean, on time, and the drivers were professional, beyond helpful, so caring & pleasant. They were even funny too ;) As the bride I was nervous at times, but their knowledge & experience in the buisness made it easy for them to calm my nerves. They helped everything go as smoothy as possible. We would ABSOLUTELY recommend them to anyone for any occasion! They are the best!!!!!!!!!! They are there for anything you need and answer any question you have. John is incredible to work with & has the fastest answering & return call time. It was wonderful to have such a phenomenal limo service for one of the most special days in our lives. ME & MY NOW HUSBAND CAN'T THANK THEM ENOUGH! Thank you action limousine! Brides need Action Limo for their Wedding! I booked Action Limousine for my limousine service for my wedding. I booked them about 1 month before my wedding, which was Sept 13,2014 which is considered late but I am so thankful they had availability Joe was our limo driver. He was excellent and was way more than just a driver. It was raining that afternoon and he always ensured my dress never touched the ground and either he or make sure someone else was helping me lift it up. He even came in the church and assisted/gave excellent tips to my bridal party for how to walk down the aisle and ensured we all looked great. Joe was very professional the entire time and helped us in staying calm and collective as it continued to rain. I am so happy I used Action Limousine. John, the owner, and Michelle were also very accommodating to my needs. I can not be happier with their services and highly recommend them to any bride. Made the day stress free! Action Limo was our wedding limo, as well as the limo for my Bachelorette party. 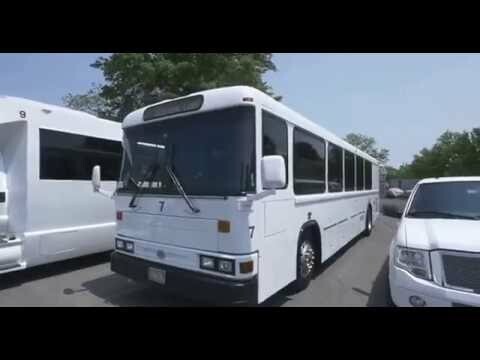 For both events, all of the drivers and John (owner) handled the booking and transportation with the utmost professionalism, courtesy, flexibility, and understanding. As a bride with a lot of my mind, Action (& John!) made everything so easy! I will continue to recommend Action to any and all brides I know looking for transportation services! Action Limousine offers INCREDIBLE service. Billy made our wedding day SO SMOOTH! I swear he whipped out a needle and sewing thread to fix one of my bridesmaid's dresses in the church. He cued my parents and I when to walk down the isle, and he held my flowers and dress up for me throughout the day so I could relax. Billy was much more than our driver for the day! I could name a million more things he did for us throughout the day, but they are endless. I would 100% recommend Action Limo for anything/everything. They are worth every penny! Let me begin by saying that John and his team are extremely professional and very patient. Not only did I use John for my wedding at the Park Savoy Estate but I also used him for our combined bachelor/bachelorette party to AC. John is very kind and does not make empty promises. He is a man of his word and it is very obvious when speaking with him. I have to say that I looked at several other limo companies and noticed that most of the limos/party busses smelled horrible inside. Guess what? John's party busses and limos smelled great. That may not be an issue for some but the last thing I want to smell is vomit from the party before mine. I HIGHLY recommend John and his staff for ANY occasion. In fact, his daughter is a wedding coordinator from Knot Just Wedding events LLC that my wife decided to hire and as per my wife, "she was worth every penny". Reach out to John and I assure you that you will not be disappointed. Action Limousine went above and beyond what it expected from a Limo company on the day of my wedding. They provided so much more than just transportation. My driver assisted me with my dress and made sure it was laid out properly for the walk into the church ceremony. The drivers also assisted me with my bouquet and opened the doors for my father and I before we walked down the aisle. The cleanliness of the limos at Action Limousine far outshines the competition. They truly care about their vehicles and regularly ensure that they continue to look brand new both on the exterior and interior. They were true professionals. From my first phone call with John, the owner, he was wonderful. Our reception was at The Grand Summit Hotel, in Summit, where the boys were getting ready, my home is in Mountainside where the girls were, and our church is in Westfield. Ray picked everyone up EARLY on our day! Church was at 4 and my Dad and I rolled up at 3:45! Ray was a pleasure. He picked up my dress as I walked into church and was very willing to be of help. After our ceremony we took pictures on the lawn. Ray was there with our photographer and videographer, cracking jokes, all while being very professional, and making us laugh. It was an already perfect day and Action Limo being professional, on time, and wonderful, made it that much more perfect! Thank you Action Limo!! Thanks for making our day Spectacular! I cannot begin to speak about the quality and care that Action Limo puts into making sure its customers are happy and content. We had spotted Action Limo at a wedding show event, when actually we were swaying towards using another company beforehand. The Party bus is perfect for anyone considering doing any type of event let alone a wedding. The driver, who was simply amazing, was courteous, prompt, and extremely helpful in making sure our event went off without any type of issues. As a matter of fact, he even went above and beyond, offering to help us out in the event our other driver (the shuttle for our hotel from a different company) was late. Not only will we recommend Action Limo to everyone we hear looking for the service, but we will be sure to use them again and again. Thanks again John, and everyone at Action Limo for truly making our day spectacular! Also boss John of limo service proved us with top video and photographers for the night who, like our limo driver also went above and beyond call of duties to make our night so special. I guess from quality comes more quality. Thanks for all the help !! Sincerely adam and Luisa. Perfect Day thanks to Action limo! You can stop looking for your wedding day transportation. Right. Now. Action Limousine, Inc. was by far the image of perfection and service. From searching and visiting other limousine companies once I met with John, it was a done deal. Signed & deposit paid immediately. We had the 42 passenger party bus-beautiful, clean & roomy for our bridal party. Austin Princess Rolls Royce is a DREAM. Service is top notch (arrives early), vehicles sparkle, & who needs a wedding planner when I had that all wrapped up in to John and his team. Water provided prior to church service, held my train while walking to and from Church, compact mirror at the ready for the nervous bride makeup check. Utter Perfection. I just feel bad that I had a case of the forgetting vendor names on my wedding day.I never thought I would fall in love with a limousine company but Action Limousine, Inc is more than just a limousine company. Thanks for a perfect day! used Action Limo for my January 10 wedding and i must say it was amazing service. Was so above and beyond my expectations! I had Billy and Carmen as drivers and they both made me and my bridal party feel so at ease that day which was much needed! 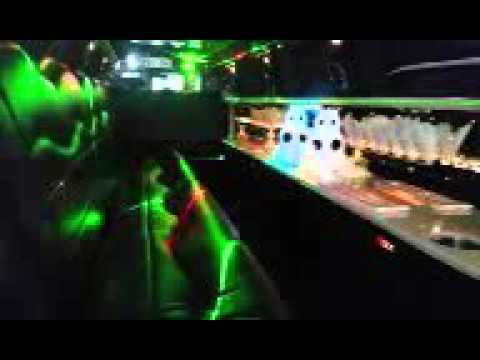 I had the party bus and a regular stretch limo which both arrived early and super clean! This company is also family owned and very well mannered to there customers needs which is super important when planning a wedding. I'd recommend them 100 % thank you Action Limo! I was recommended to Action Limo by my wedding DJ. After the first time I spoke with John, I immediately booked him for my wedding! He was extremely helpful, professional, and responsive to all of my emails. We had multiple back and forth conversations over a few months span, as I had questions about different limo options, and John never hesitated to answer all of my questions. The week of my wedding, John gave me a call to confirm all of the details, let me know who my driver would be, etc. The day of my wedding, the driver showed up early with a wonderful attitude that helped keep me calm. I was an hour late for the church, but our driver didn't rush us whatsoever, and when I was ready to leave, he helped me out of the house and got us to the church without any difficulties. Throughout the rest of the day our driver escorted me to and from different locations with ease! I will absolutely be recommending Action Limo to all of my friends and family. We used Action Limo for our wedding on 3/21/15. Steve was easy to talk to and always available for questions as needed. Carmen was our driver and she was very professional with a touch of humor! We can't thank them enough for there promptness and making our day stress free, as far as transportation was concerned. They even allowed our Boxer in the limo and ride up to our ceremony!! That was a big reason we initially chose them. We would recommend them to anyone who asks and will definitely use them on any future trips!! top notch service - simply the best! John G. is a professional in every sense of the word. He is helpful, understanding, patient and kind. and his line of cars is comparable to none! Once you take one look at his cars and buses, you will not go anywhere else. His party bus - perfect! Rolls Royce - spacious and clean! On my wedding day, he had everything I needed and more. His kind nature is what makes the day go by smoother. He was prepared with an emergency kit that even went above what I prepared! If you want quality, professionalism, top, affordable service, choose Action Limos. Action will be my preferred transportation company for years to come. Thanks for everything John! see you soon! They went above and beyond our expectations. We would highly reccomend this company. Bradley and Tom were very professional, very early, and couldn't have been nicer guys. The owner John was very accommodating and flexible. Can't go wrong with action limo. Billy was our limousine driver. We used the party bus which was amazing! My biggest fear was running late but with Billy I didn't have to worry. He did great at making sure we stayed on schedule. He was very attentive to my needs untIL he dropped us off for our reception. I am so happy we chose action limo. Action Limo made our day extra special! Owner John Garrabrant escorted us on our wedding day in his amazing Austin Princess Rolls Royce. My husband, my father, my Maid of Honor and I were all thrilled to ride in such a beauty. The Rolls made a grand entrance that was completely unforgettable. We also appreciated all those red carpet extras Mr. Garrabrant provided us with, including the champagne, an excellent playlist and his assistance with my gown. John Garrabrant and Action Limousine really made our day extra special! Cant stop raving about Action Limo! Action Limousine is a must for your wedding day transportation! From the moment we booked, they have been nothing but professional, punctual and fun! Their vehicles are immaculate, beautiful and in tip top working condition. John and Carmen were excellent drivers and so incredibly helpful! Our guests were very impressed with the Austin Princess Rolls Royce and I loved that the music could play outside the car. I truly arrived to the ceremony in style and class! John had a handy mirror, mints and a mini fan on hand to ensure that I walked down the aisle in perfect condition. Our bridal party had a blast with Carmen in the stretch limo! We couldn’t have asked for a more perfect team to ensure that we met our wedding timeline and most importantly had fun! We would recommend this company to any engaged couple/customer in a heartbeat! Thank you Action Limousine! PARTY BUS is the way to go!!!!! Well if you have a large bridal party! 12 of them, our 3 kids and husband and I! I LOVED the party bus, our driver (sorry think name is John) was GREAT!! This guy knew what he was doing, even told me how to hold my flowers!! I was in shock! lol He did a great job and keeping my father and I calm right before we walked down the isle at our church! He helped me on and off the party bus! The bus was Beautiful!!!! We put our own music, he had the AC on full blast, which was great, our wedding was in Aug. LOL I loved everything about Action Limo, the owner John is a funny guy. 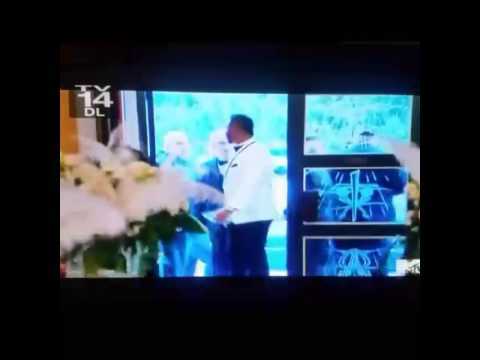 I loved that he has all is very expensive vehicles IN DOORS! In a huge garage, makes sense, you do not want your vehicles getting damaged, sun, cold, winter, not easy!! He was really great, party bus was VERY clean, did not see a dirt anywhere, and my husband deals with cars everyday, he checked! LOL Great job guys!! This vendor was recommended to us by our venue, Mayfair Farms. Our driver was Frank. We had a stretch limo to get us from the church to the venue. He was awesome - great sense of humor, accommodating, professional, and a big help while I was in my big dress. He even stayed a little bit longer to allow our photographer to get a picture with the limo. Great company - highly recommended! 5 Stars the Whole Way! If you are looking for Limousines for your wedding, Action Limousines should be your choice. I used this company for my daughter's wedding, and I was more than happy with the cars, party buses and shuttles. John, the owner, was wonderful to work with and so accommodating. Easy to get in touch with and eager to please. His cars are beautiful, shiny and well taken care of. My guests were raving about how gorgeous they were. The drivers were prompt and so very nice to everyone. Action Limousine is the way to go!! This company is amazing. The owner John was very attentive to all my needs and I arrived on time to everything. John even kept me cool while I (the bride) waited for the groom to arrive. He knew how to bustle my dress before I walked down the aisle. All I can say is they are complete professionals. The cars were immaculate and looked amazing in our pictures. We were completely satisfied with their service. If your looking for a limo company, this is the one to pick. You will not be disappointed. 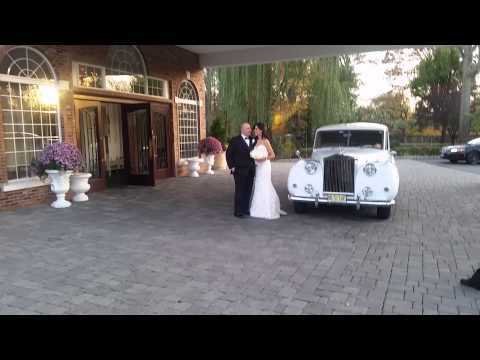 We just used Action Limo's services for our wedding this past weekend. Not only did we receive a text message with our drivers contact information the morning of our wedding, but John was always very easy to get in touch with and offered his help with our questions or concerns. Our driver was on time and very professional. We highly recommend their services for your wedding day!! We first met with John through a recommendation about a year ago. He met with us at a time that was convenient for us and showed us all around his show room and answered all our questions and concerns. We booked the Navigator and Rolls Royce. On the day of our wedding, December 12, 2015 John was extra early and waited patiently for us. As I (the bride) came outside he had music playing! It was great! Once we were at the church, John helped me walk inside and with anything else I needed. After the church ceremony, John was waiting outside for us with Champagne and a red carpet! The bridal party had a great ride in the navigator. We absolutely loved Action Limousine and are already planning to book the Rolls Royce for our one year wedding anniversary. My brother is getting married in July and already booked Action Limousine! We're referring everyone to this company. Absolutely the best service!